Magna Carta is a trusted public relations firm that's situated in Africa. It has been in existence since the middle of the nineties. It has expanded significantly since its establishment back in 1994 as well. It has throughout its lifespan become a major force on the African continent. Reputation management is one of the services Magna Carta offers. The Magna Carter team aids companies that are looking to take charge of their reputations on the Internet and elsewhere. There are quite a few committed professionals who put a lot of effort into making Magna Carta work well. Moliehi Molekoa is the name of the company's managing director. Mary Gearing, on the other hand, is the company's deputy managing director. Lisa Biggs and Hilary Macaulay are a couple of other consummate professionals who are part of the Magna Carta staff. 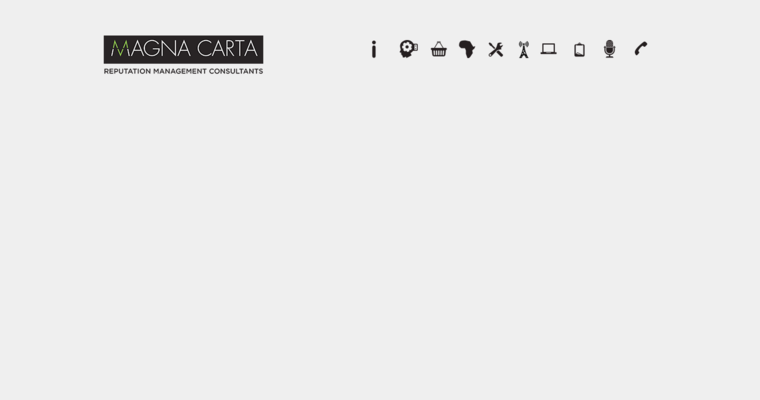 The team members at Magna Carta constantly think about media and content.